Any event that combines running and bluegrass music is A-OK in my book. The start of the race will feature a group of banjo players performing Foggy Mountain Breakdown and your race bib will get you discounted admission to the Earl Scruggs Center. Also, another great thing about this race is that the school with the highest number of students to participate will receive a trophy and $250 donated to the PTO! Live music begins at 8:00 a.m. and will kick off the race at 8:30 a.m. The 10K will start and finish with the 5K at the Don Gibson Theatre located at 318 South Washington Street in historic Uptown Shelby. 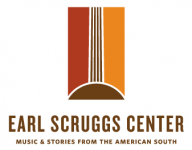 Your route takes you through Uptown Shelby and around the historic 1907 courthouse on the beautiful court square which is now home to the Earl Scruggs Center: Music & Stories from the American South. Earl Scruggs is a Cleveland County native and known worldwide for his three finger style on the banjo as well as his innovation with the banjo in other areas of music. The route passes historic homes on tree-lined streets and then step back in time as you run through historic Sunset Cemetery where you will pass the final resting place and incredible memorial of Shelby native, Don Gibson. His songs such as “I Can’t Stop Loving You” and “Sweet Dreams” are timeless and his music helped shape the Nashville sound. As you continue on your route you will visit Shelby City Park, home to a wonderful playground, historic carousel and restored miniature rotary train and aquatics center and gymnasium. Your run will take you through the City Park Recreation and Sports Complex which includes 3 multi-purpose sports fields, warm-up area, playground, picnic shelter, walking track and horseshoe pits. After visiting City Park your route brings you back through Uptown to cross the finish line back at the Don Gibson Theatre with live music and refreshments in the reception area.